Carlos Mortensen is a professional poker player who has seen success in major tournaments such as the World Series of Poker and the World Poker Tour . A native of Ecuador who has spent most of his life in Spain, his full name is Juan Carlos, but he is more widely known as Carlos or “The Matador”. Before becoming a poker superstar, he worked in a pizzeria and as a bartender in a private club where also played chess. One day he came to work and spotted people playing Texas Hold’em – he still remembers it was on April 15, 1997 – and he sat down to play and lost around $100. The loss was tough but he decided to come back to play the next evening. Mortensen won; in fact, he kept on winning for four straight days. After this experience, Mortensen decided to pursue poker full-time as a profession, and he moved to the United States in 1997. Back then, he did not know any English, but his observant nature was helpful and he was able to adjust; four years later he won the 2001 World Series of Poker Main Event defeating Dewey Tomko , a player with over 35 years of poker experience. Mortensen is considered the last professional player to date to win the World Series of Poker Main Event. Mortensen acquired his skills more through experience than through reading books on poker. He is an expert bluffer, known for his fearless nature and loose play. He mixes up his style in order to match his opponents’ and the results are evident; in 2001, he took three consecutive first place finishes, including his World Series of Poker Main Event win. Mortensen also won the $5,000 Limit Hold’em event at the 2003 World Series of Poker and the Doyle Brunson North American Poker Championship in 2004. His other accomplishments include a first place finish in the $300 Omaha Hi/Lo event at the 2002 California State Poker Championship, a first place finish in the $2000 No Limit Hold’em event at the 2002 World Poker Finals and a first place finish in the $1,500 Pot Limit Hold’em event at the 2004 L.A. Poker Classic. He made 3 final tables at the 2006 World Series of Poker. Nowadays, “The Matador” continues to travel frequently between the US and Europe to play in tournaments. In 2007, Mortensen won the $25,000 World Poker Tour (WPT) Championship. Now he and Doyle Brunson are the only poker players with both a World Series of Poker Main Event title and a World Poker Tour win. 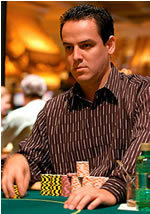 Juan Carlos Mortensen has recorded over $12 million in live tournament winning.